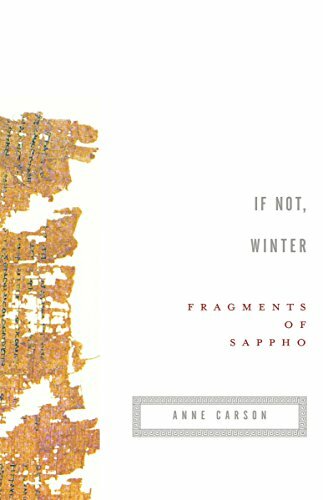 By combining the ancient mysteries of Sappho with the contemporary wizardry of one of our most fearless and original poets, If Not, Winter provides a tantalizing window onto the genius of a woman whose lyric power spans millennia. View More In Ancient & Medieval Literature. By Brand: Focus Publishing/R. Pullins Co.